Direct from its $850 million worldwide box office gross, Spectre, the latest installment in the immortal James Bond franchise, continues its journey with its arrival on home screens and digital download. 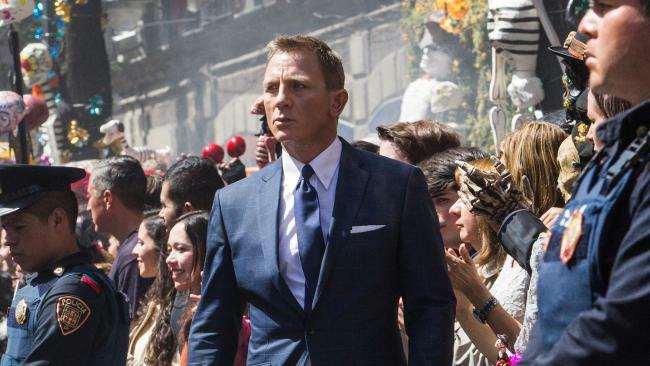 Daniel Craig is James Bond in Spectre. In Spectre, a cryptic message from the past sends James Bond (Daniel Craig, The Girl with The Dragon Tattoo) on a rogue mission to Mexico City, followed by trips to Rome, London, Austria and Morocco to solve the mystery behind the sinister clandestine organization known as SPECTRE. As Bond ventures towards the heart of SPECTRE, he learns of a chilling connection between himself and the enemy who runs the evil network (Christoph Waltz, Carnage). Sam Mendes (American Beauty), who helmed 2012’s Skyfall, the previous Bond outing, returns to direct the PG-13-rated action-adventure thriller, which also stars Ralph Fiennes (The Invisible Woman), Naomie Harris (Skyfall), Ben Whishaw (Cloud Atlas), Léa Seydoux (Blue is The Warmest Color) and Monica Bellucci (The Sorcerer’s Apprentice).